There are few big things to report that have happened recently in Carrefour Poy. This first one brings me so much joy! It is a obligation for all the children of The Bridge to come to Church every Sunday. But some of them refuse to come. I [will] go to talk to them and their families. It is the case for Michelet and Michelda. I explain how it is important and who is Jesus and Michelet, Michelda and their mom all began to come. A month ago she became Christian. Our prayer is that God will provide the increase through these children to reach their families, friends, and neighbors with the gospel of Jesus Christ. It is so exciting to hear about one way that prayer has been answered. Thank you so much to our sponsors who have believed with me that God is working through this ministry. 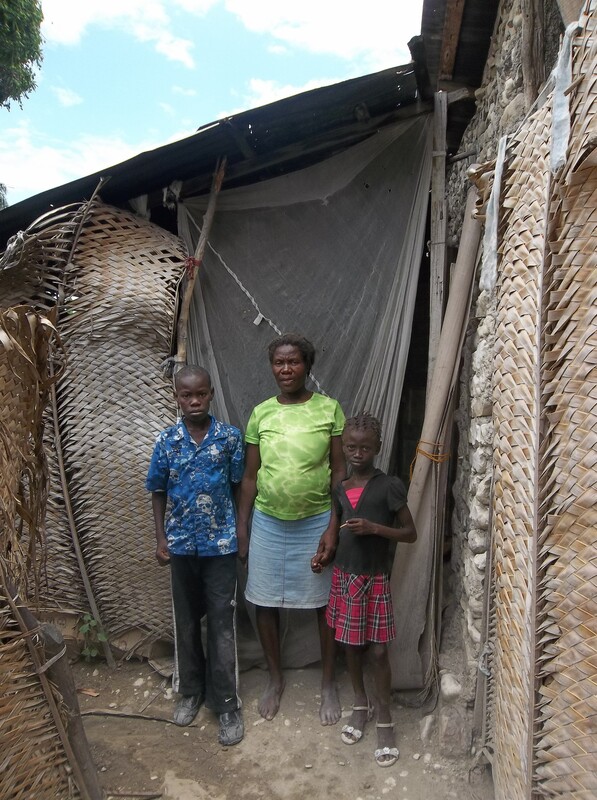 Michelet, Michelda & their mom in front of their home, July 2014. When Claudel told me about the new regulations requiring that the school in Carrefour Poy open a seventh grade class, I was so overwhelmed by the thought of the extra money we would need for that to happen, that I couldn’t even think about the space needed to house the extra classes. I prayed about it and felt that in light of everything I was dealing with, God was not calling me to try to raise funds to build the extra classrooms. With some trepidation, I determined to trust that God would provide another way. At one point Claudel emailed me to ask if I had been able to raise money to build more classroms & I wrote him back saying that I was not able to raise the money, but that I was looking forward to seeing how God would answer that prayer. 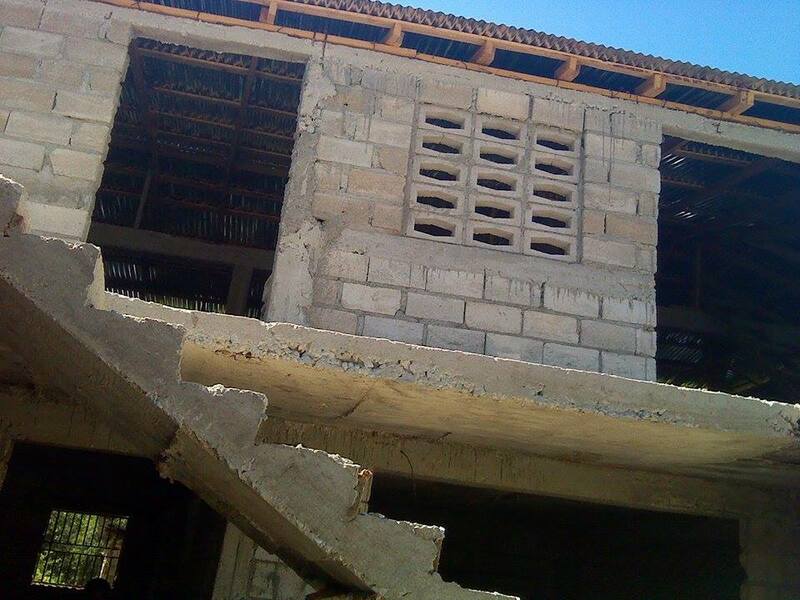 Construction began when the school received a small amount of money from the Haitian government, but when that money was gone, construction stopped. 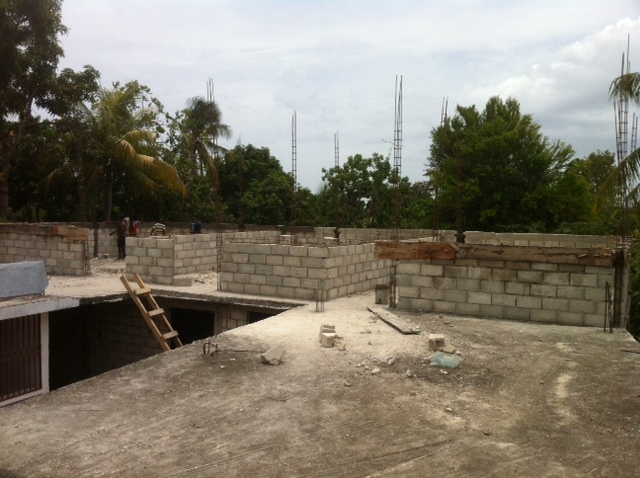 Here is how the new classrooms looked when the money from the government ran out. In August, with the construction at a stand still and new school year approaching, Pastor Gilbert came to the states and spent a Sunday with us at Grace Fellowship. After leaving Amador County he spent the next few days with a friend who is also one of our sponsors. A few hours after Gilbert left here, I got a phone call from him telling me that this gentleman wanted to pay to finish the construction! Praise God! 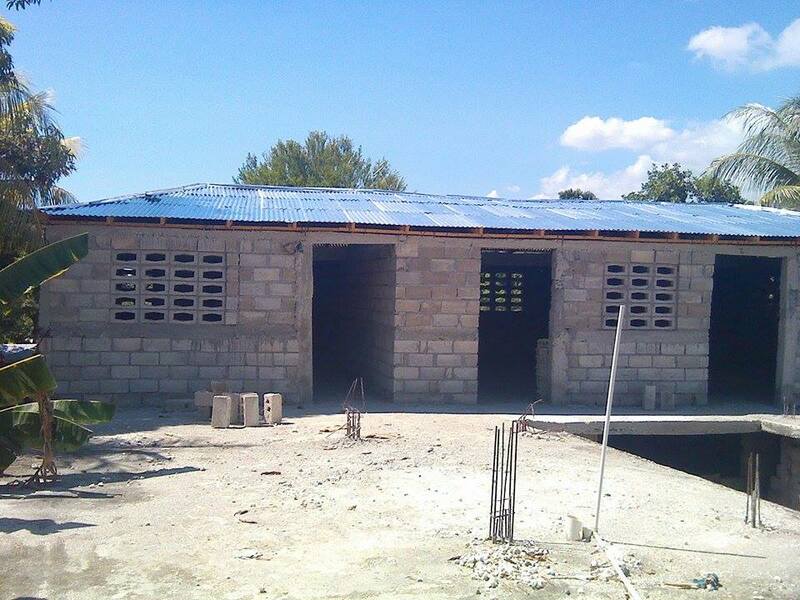 When Gilbert arrived back in Haiti, the construction began again, and there are now 3 new classrooms on the 2nd floor of the school! Construction is complete on three new classrooms which were built to accomodate the seventh grade class. Ready for higher education with new upstairs classrooms! The last thing to report is a big prayer request. 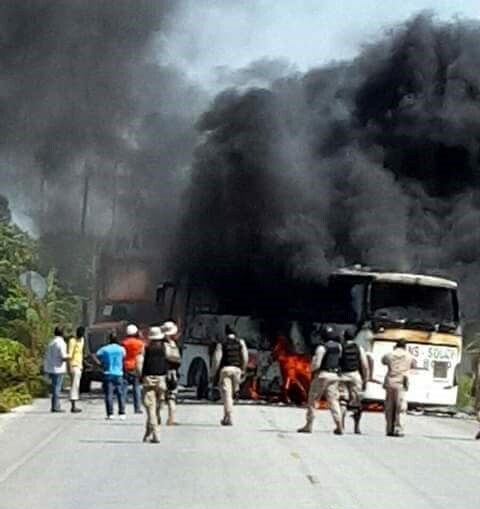 Over the last month there has been widespread, violent rioting in the city of Arcahaie as the citizens are protesting the government. Claudel sent me this picture of some of the rioting in Arcahaie. Since Carrefour Poy is on the outskirts of Arcahaie, it has been too dangerous for the children to go to school so far this year. Please join me in praying that this rebellion will come to a quick and peaceful resolution and that the leaders of our school will use wisdom as they balance the safety of the children with the importance of their education.